The Tenejero Elementary Youth for Environment in Schools Organization (YES-O) clinched again the Over-all championship in the recently concluded Search for the Best Implementer of YES-O Program in the Schools Division of City of Balanga held last April 13. Alongside with this recognition, Mrs. Agnes Magdalera,school principal, Mrs. Lailani Sison, YES-O adviser, and Shane Ann Rodriguez, YES-O president were also awarded for their exceptional and significant contributions to the success of the organization’s programs and projects. “Hard work pays off. Congratulations to us (Tenejero ES pupils, parents, GPTA/HRPTA, teachers and staff) for being the over-all champion in the Search for Best Implementer of YES-O Program for two consecutive years, from school year 2014-2016. I would like to thank the YES-O Adviser, Mrs. Lailani Q. Sison, Education Program Supervisor, Ms. Ellen Macaraeg, YES-O President, Shane Ann Rodriguez, other YES-O officers and members, Supreme Pupil Government (SPG), School Dengue Action Response Team (SDART) and teacher-coordinators. May we have many more years of success! To God be the glory,” posted Mrs. Magdalera on her Facebook account. 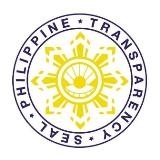 As stated in DepEd Order No. 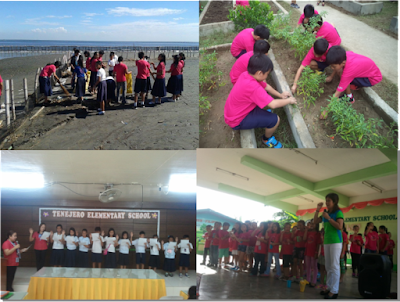 72, s. 2003, YES-O is the only recognized co-curricular environmental club or organization in the schools which establishes specific and doable programs, projects and activities to address issues and concerns on the environment and ecology.